I made an apple fritter cake today, and found I was out of cinnamon halfway through. Guess what? 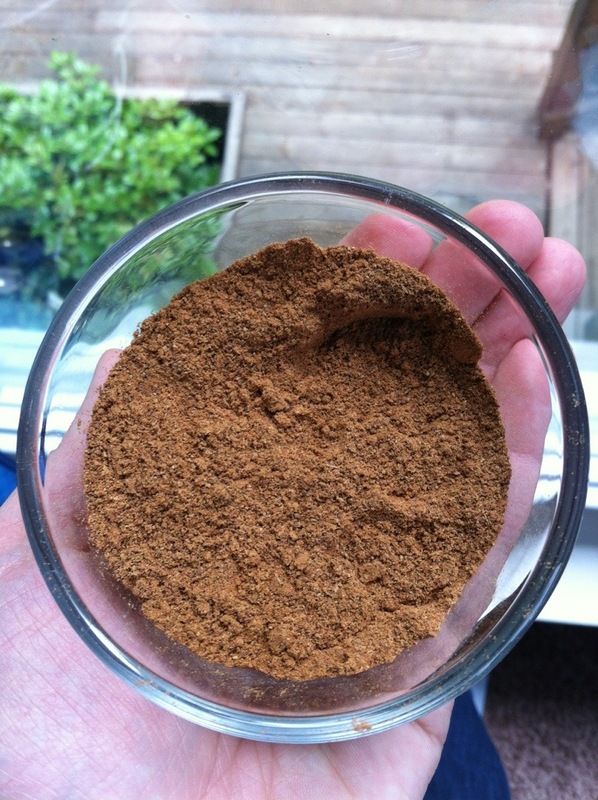 The vitamix turned cinnamon sticks to an amazing, fragrant, dark cinnamon. I’m kind of loving this- it has a bit of texture to it. 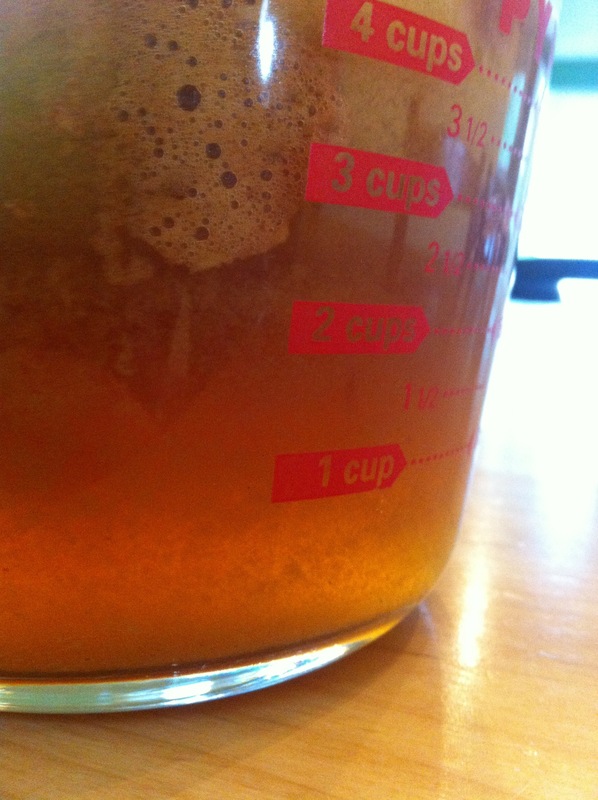 Fresh apple juice, from the juicer. Just dump the apples in a sink of water, halve (or quarter) them so they’ll fit in the chute, yank out the stems, and push them through the machine. I had to scrub and rinse the inner filter 3 times while working through half a small laundry basket (is that a bushel?). One half basket left to get through… And I will have a house full of hungry, thirsty people one evening this week. I think I know where those last apples will go! I’ve been making onion syrup for my kids for years- just onion slices layered in a glass jar with sugar till all the juices macerate out. It’s amazing for breaking up phlegm in the chest and helping kids cough it out. This will be great to have on hand for the cold and flu season- the toddler and preschooler have coughs that won’t break up, and onion boosts the immune system so hopefully this will help keep the rest of us healthy! I’ll either mix a spoonful into warm water or just let them lick it off a spoon. 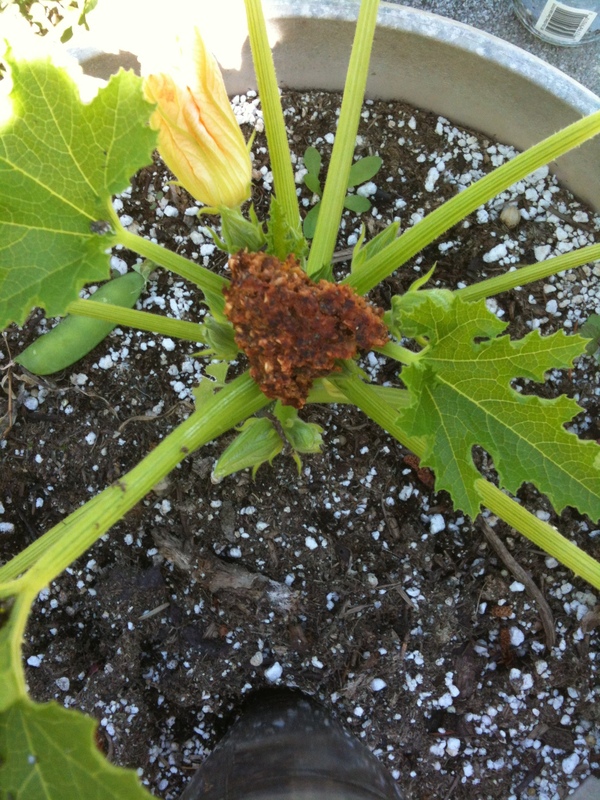 Mimi knows we can throw little leftover bits into the plants- strawberry tops, watermelon seeds, that kind of thing. She thoughtfully broke up her bean burger and distributed gifts around the yard. Plant food for everyone! 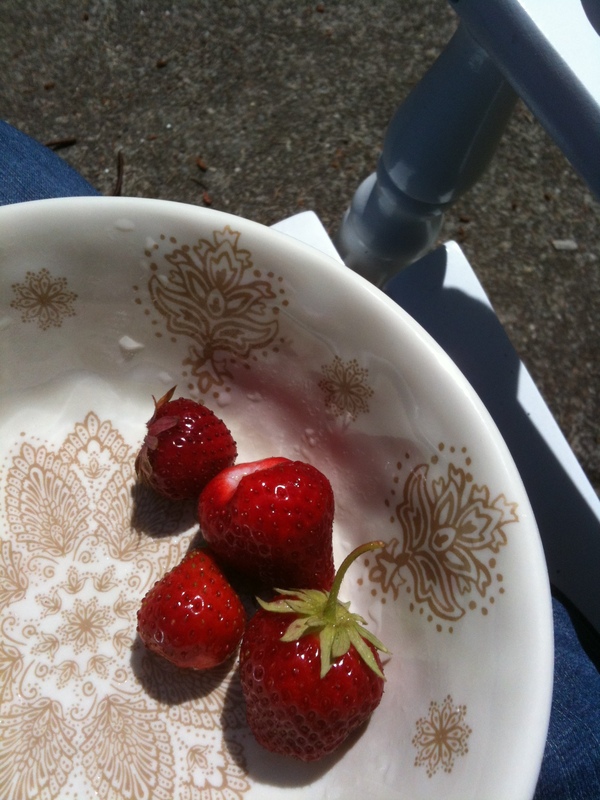 Strawberry season has arrived in our little patch of dirt. Juicy! The first batch of sourdough pancakes were a success! Easy, too. 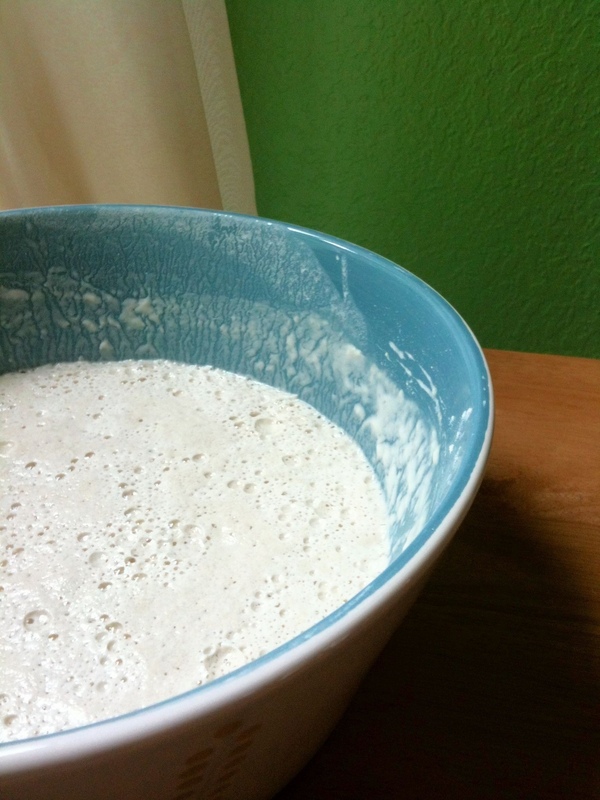 In a NOT metal bowl, mix up 2 cups flour, 2 cups buttermilk, 2 tbsp sugar, and 1 cup unfed sourdough starter. 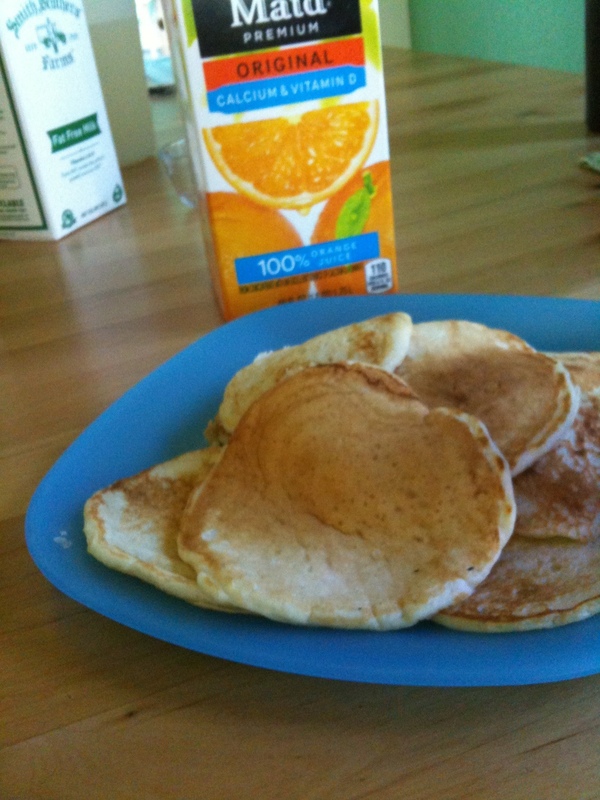 (Using a recently fed starter will give you less tangy pancakes.). Cover and let it sit overnight. This is the sponge. In the morning, mix together 2 eggs, 1/4 cup melted butter or vegetable oil, 3/4 tsp salt, and 1 tsp baking soda. Stir it into your sponge and cook on a hot, greased, griddle. These were fantastic! Everyone had 3 or 4. 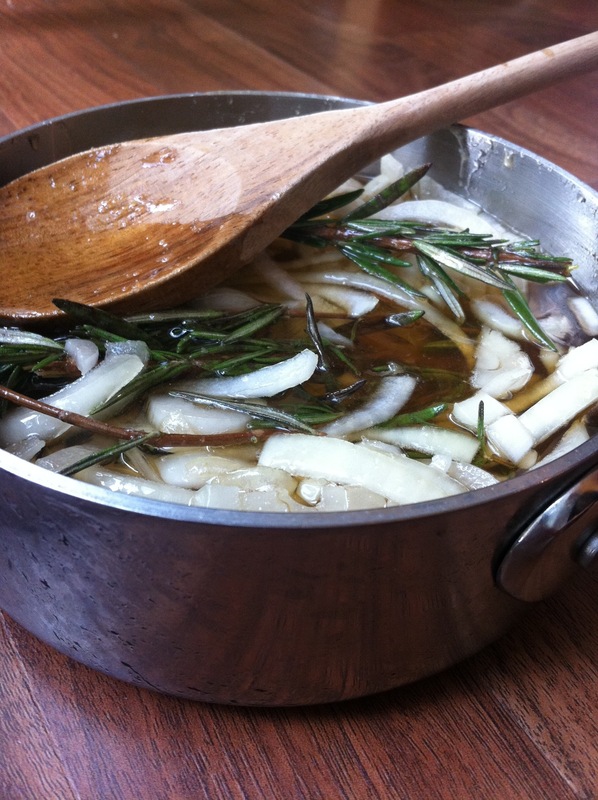 Next time I’d add less salt- I used vegetable oil, and would cut it back to 1/2 tsp. If I used salted butter I’d cut it back to a 1/4 teaspoon. The original recipe was for waffles, with a side note to cook them on the griddle for pancakes. I’d cut the oil by half ( and use 2 tbsp) which is a normal amount of oil for pancakes. This recipe made probably 25 4″ pancakes. Pancakes freeze great, though :). I can’t wait to try this with some whole grains! The original recipe came from the King Arthur Flour website. Recipe is here. Grandpa sent me home with a jar of his sourdough starter- today is in inaugurational baking! Six fat baguettes are in the oven now.